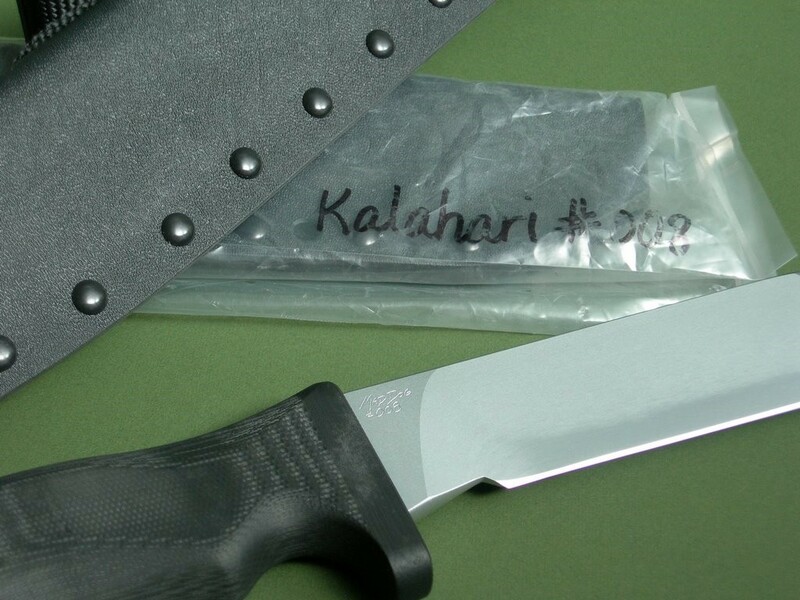 Summary: a hard to find numbered Mad Dog knife, this is one of the ten numbered Kalahari's with 10" Starrett blade, VVTL blade finish, type 1 choil and black composite handle. 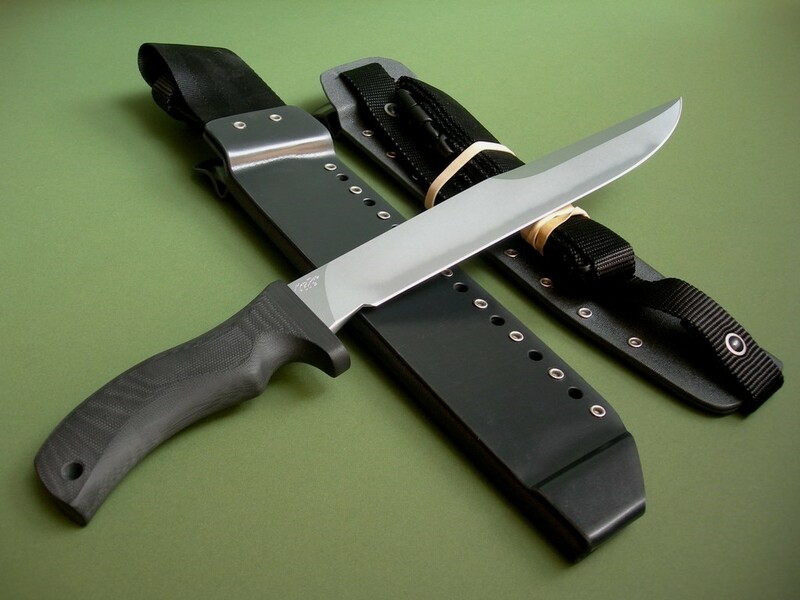 Blade stock is 1/4", this is the serial #008 knife in unused / mint condition with original ATAK & Dundee sheaths. 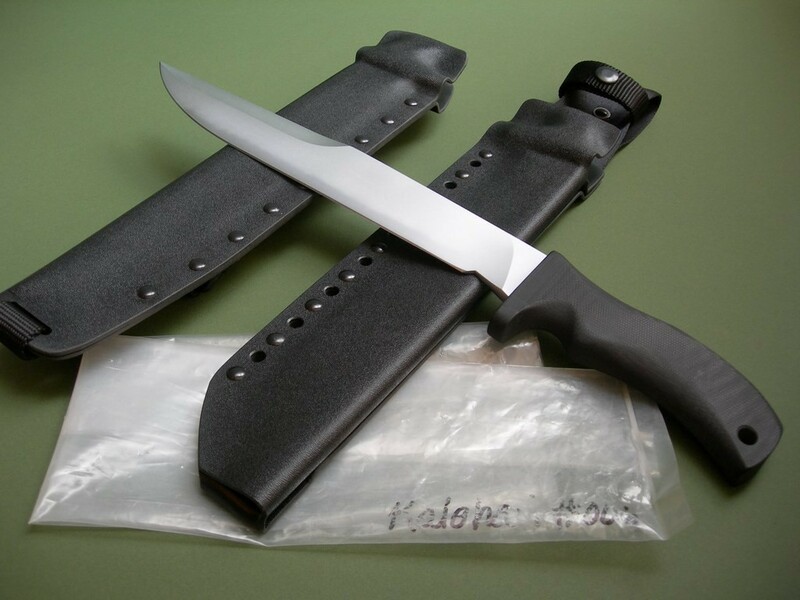 5 photos for review – as shown, a new MDK carry case is included. 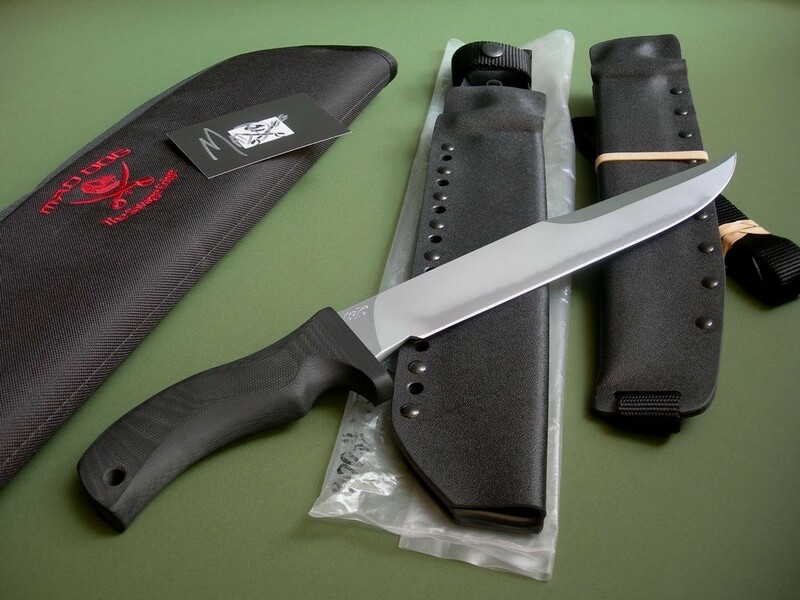 This is an unbeatable price on one of Mad Dog's numbered large knives... don’t miss out. 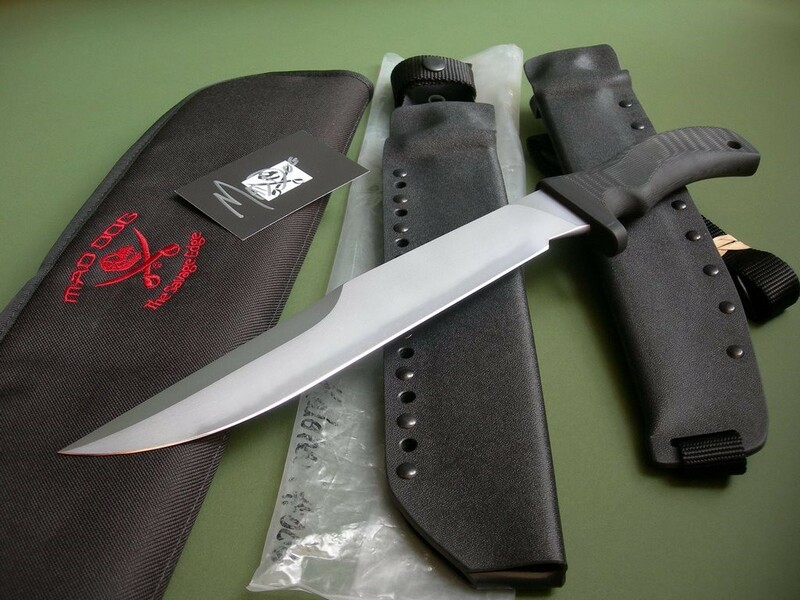 Satisfaction and authenticity guaranteed, of course. Thanks and good luck.